When you’re traveling the world, you’re obviously thinking an awful lot about the places your going to see, the cultures you’re going to experience, and the historic landmarks you’re going to visit. But travel isn’t just about those things. It’s also about being able to kick up your feet and relax. And when it comes to relaxing while you’re on vacation, there’s just nothing quite like having access to an amazing hotel or resort pool. Provided you’re shelling out at least a little bit of coin, you should have access to a nice pool in which to cool off and float around. 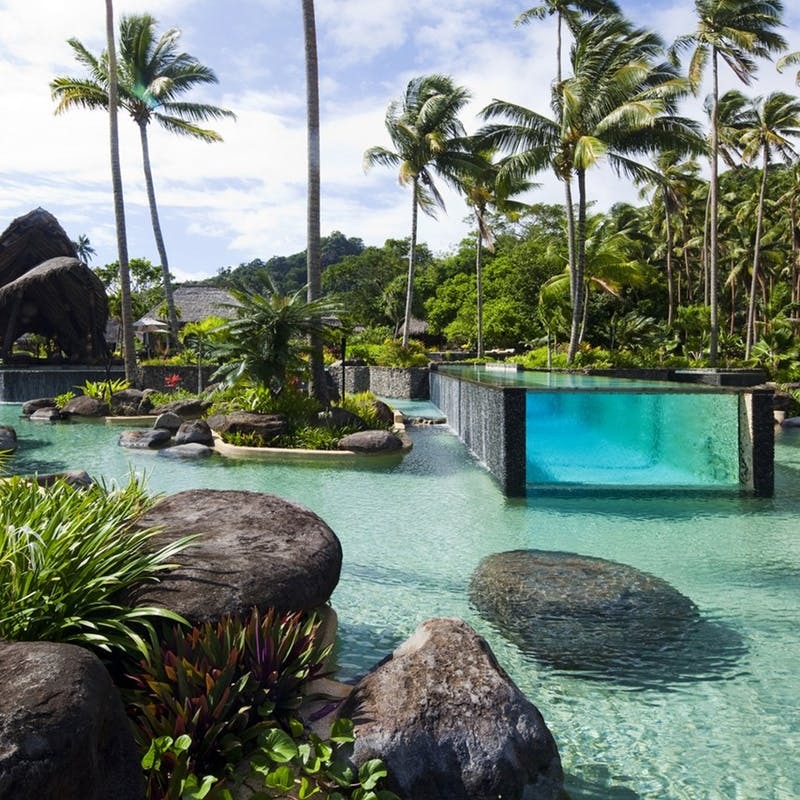 But, while most hotel and resort pools are perfectly adequate, there are some that just blow the others out of the water. 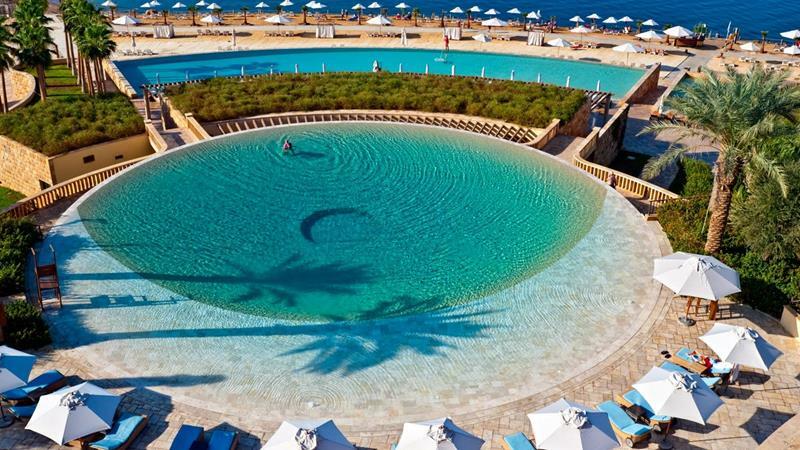 It’s to those kinds of pools that we’re going to be turning our attention below. 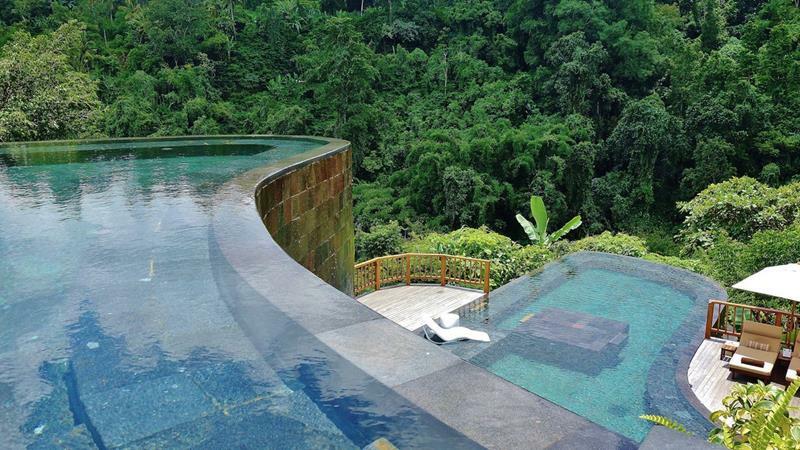 On this list, you’ll get to see 20 of the world’s most breathtaking pools first hand. Trust us when we say that you’re going to be impressed! And, remember to keep this post bookmarked, too! 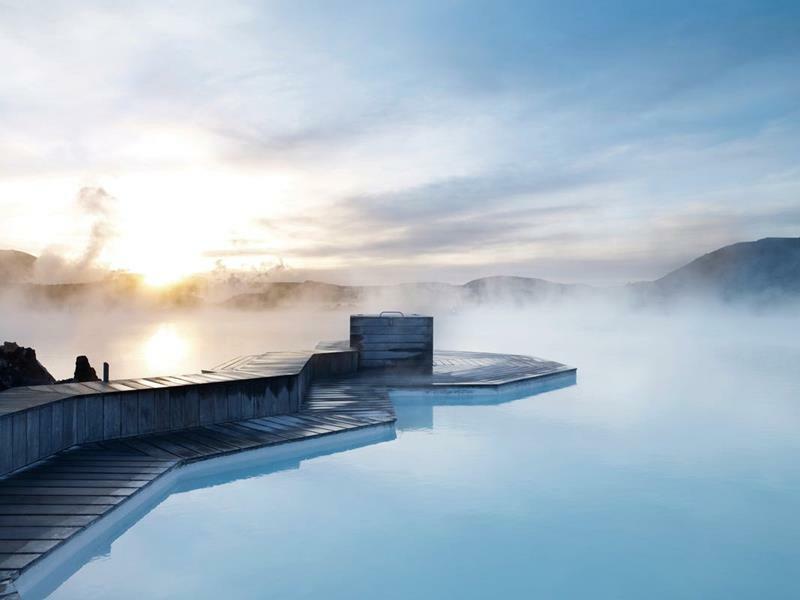 When it comes time to take that next vacation of yours, don’t you want it to involve one of these amazing pools that follows? 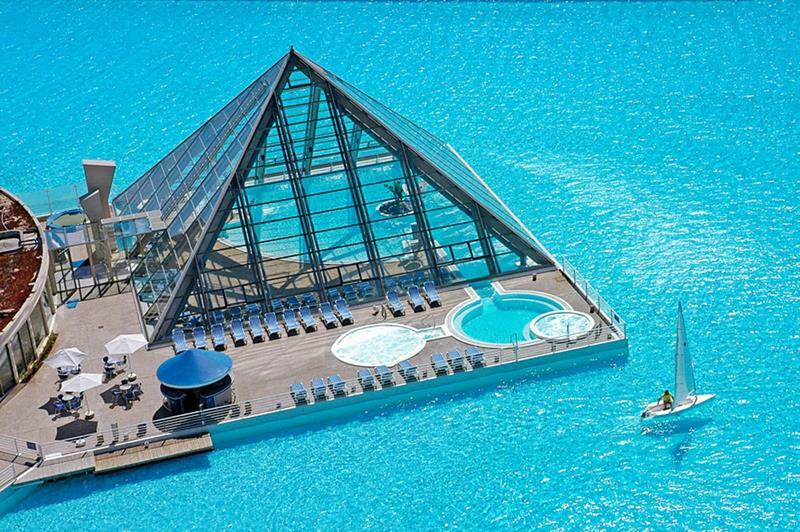 Like something you’d expect to see in Dubai, this is a fancy swimming pool jutting far out into the water. Home to only 25-villas, this exclusive resort has an amazing pool that’s encased entirely in glass. 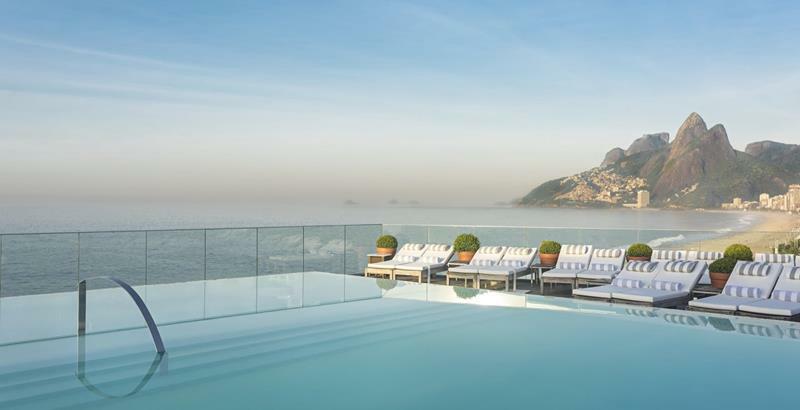 Offering perhaps the most breathtaking view of Ipanema beach there is, this is one pool you won’t soon forget. What can compare to bathing while watching the ships sail into harbor in Hong Kong? Not much, if you ask us! When you think about the glitz and glamour of the French coastline, this is what you’re thinking about. 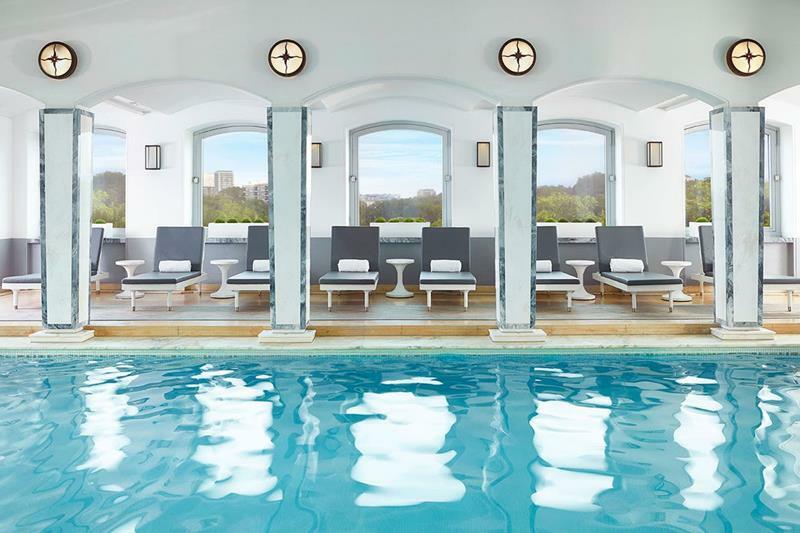 If you’re looking for a pool that offers all the class of a hotel from yesteryear, then this is what you’ve been seeking. 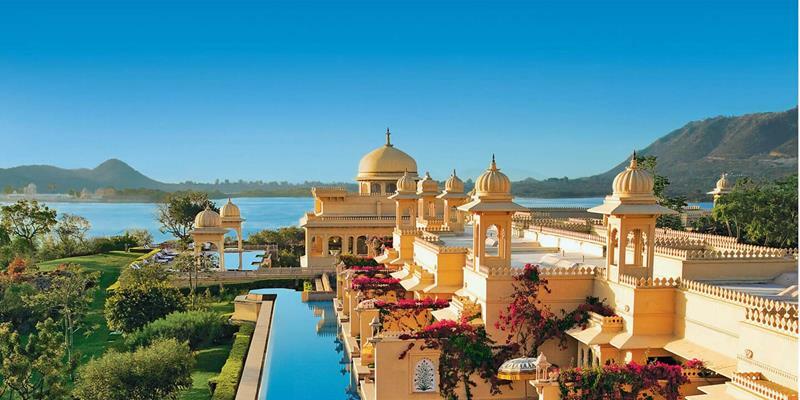 Wrapping around the property and offering sweeping views of Lake Pichola, this is quite the pool. 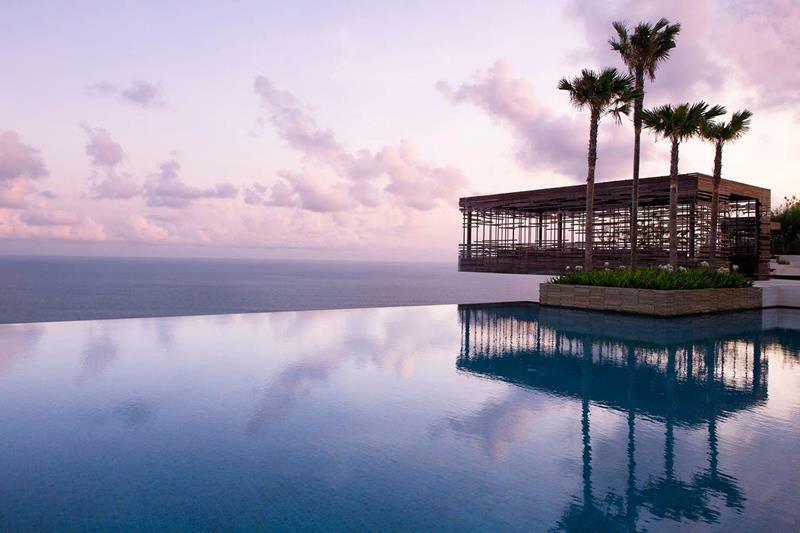 These high-up infinity pools give you the perfect vantage point for surveying the surrounding scenery. 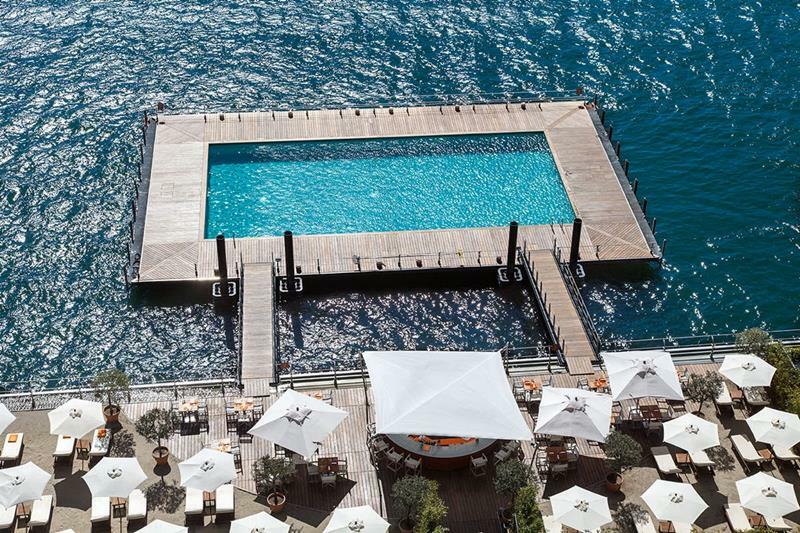 Jutting out in Lake Como, it’s quite possible you might catch a glimpse of George Clooney while you’re floating around in this one. 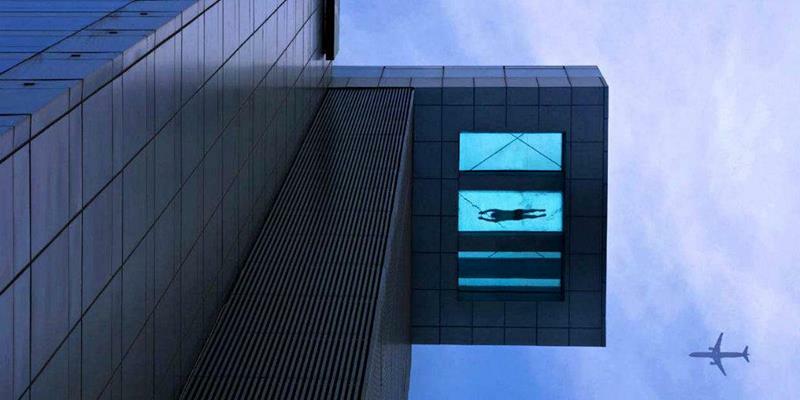 An infinity pool that makes you feel like you’re swimming in the starry sky? What’s not to love about that? The pool you see here is just one of nine on the property, all of which are equally breathtaking if not more so. 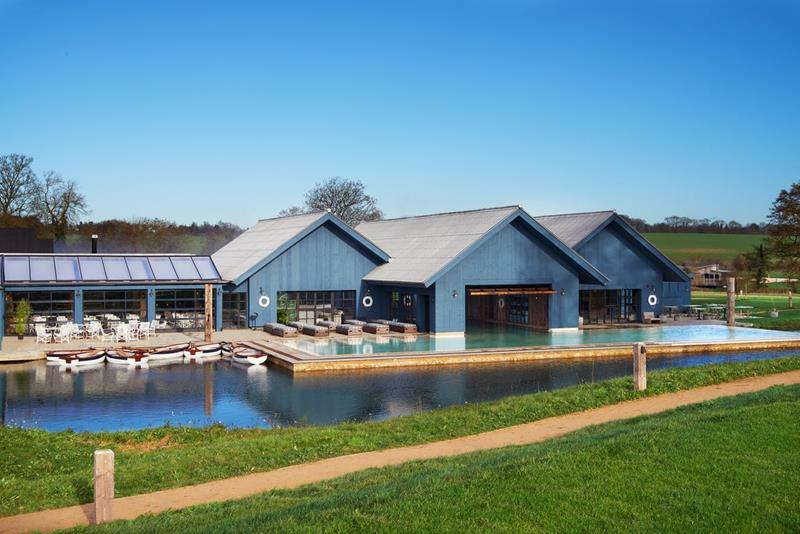 Offering a mix of both hotel luxury and farmhouse living, this hotel pool is incredibly unique. Really want to soak in all of the best that the Amalfi Coast has to offer? Well, here’s the pool for doing the soaking. 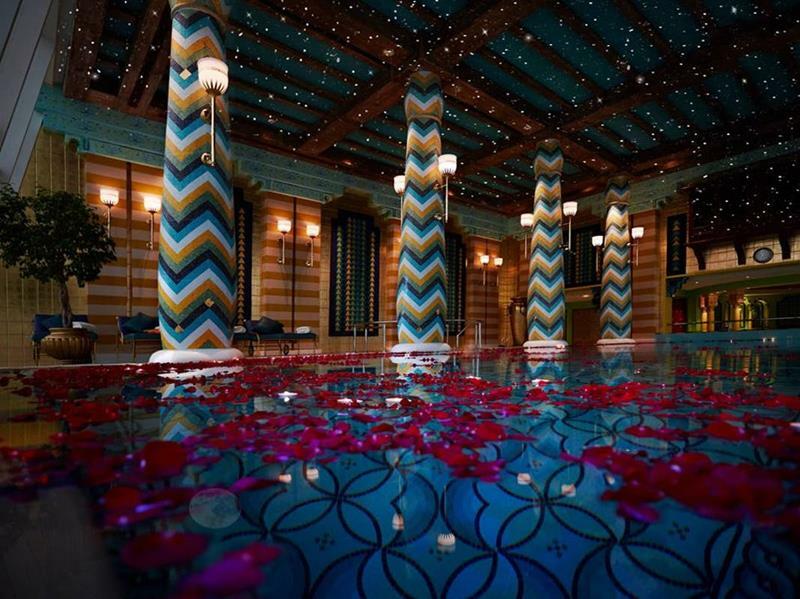 This one might be one of the most beautifully constructed pools on the list. Now that’s opulence! You can just think of this one as the biggest hot tub that you’ll ever wade into in your entire life. 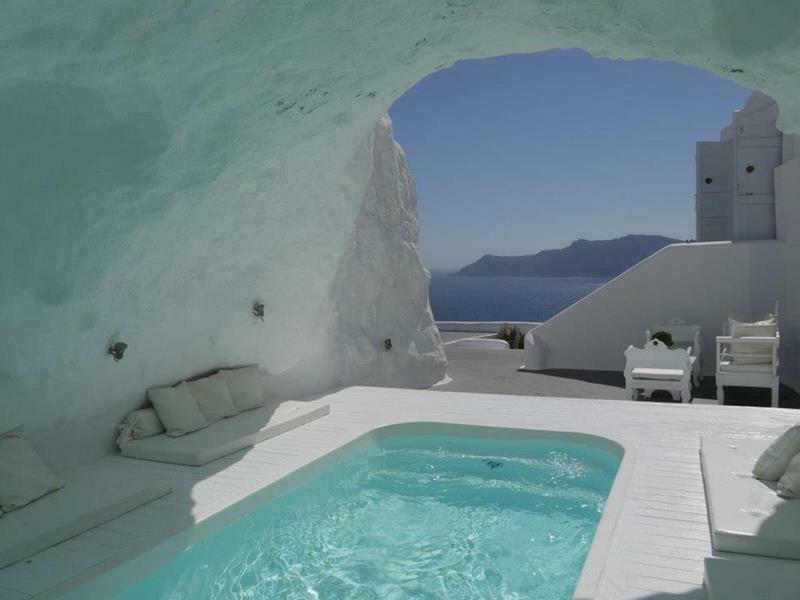 Santorini is home to some truly impressive pools, including this one… Oh, and also this next one too! 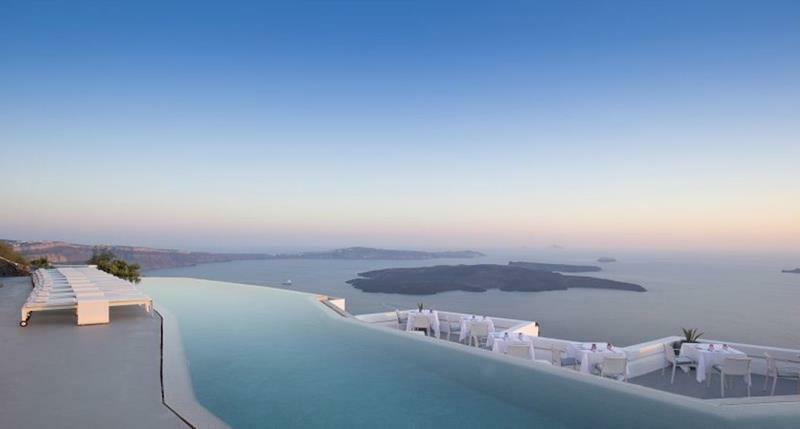 When you see pictures of those beautiful Greek Isle sunsets, they’re most often taken from this vantage point. 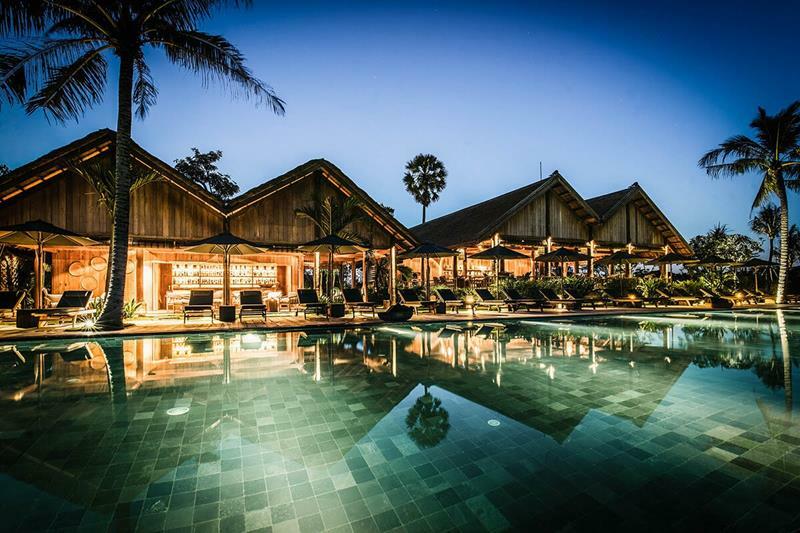 Located in Siem Reap, this gorgeous infinity pool is situated amid the jungle and an easily-accessible bar. 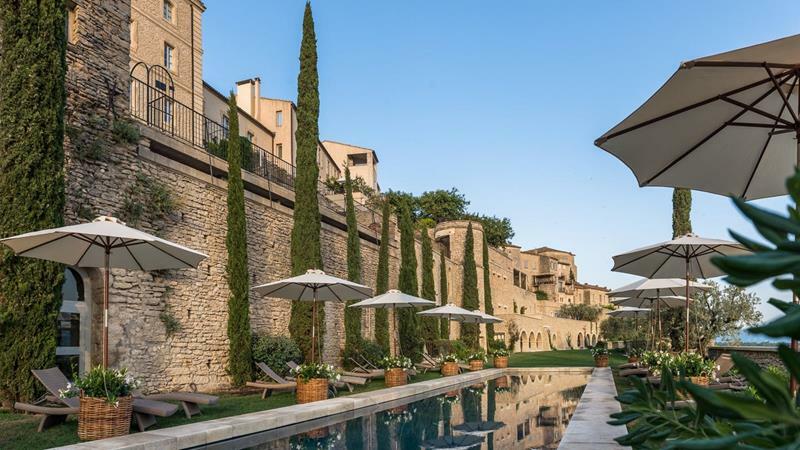 The trappings of the French countryside surround at this gorgeous and ultra luxe pool. We bet you didn’t expect to see the Holiday Inn on this list. But, one look at that picture above, and should be obvious why you are. Wow!